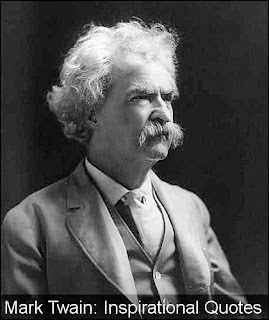 Great American author – Mark Twain – is known as much for his literary works as his wit and humor. Samuel Langhorne Clemens took the pen name of Mark Twain in remembrance of his days as a riverboat pilot on the Mississippi River. Pilots called out the words “mark twain” to indicate that the water level was a safe depth for a riverboat to pass. Embracing his early years, he gave a voice to the language of the “common folk,” creating classic works such as The Adventures of Tom Sawyer, The Adventures of Huckleberry Finn, The Innocents Abroad, and A Connecticut Yankee in King Arthur’s Court, among others. He inspires us to write in our own voice, and from personal experiences. The following is a collection of Mark Twain’s most “tweetable” quotes that give us a sense of the humor and wit of this American treasure.